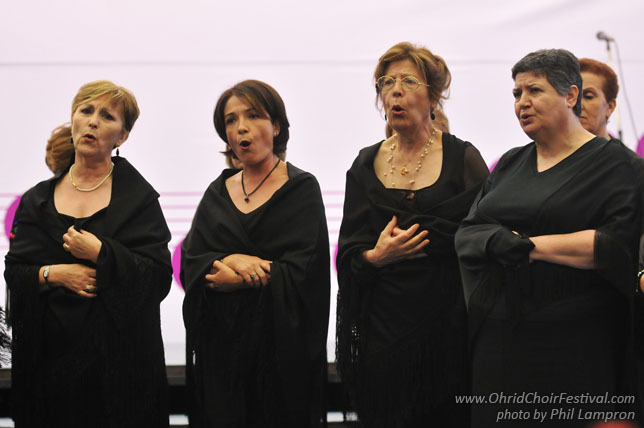 Sa Pintadera, a four-part female choir, conducted by Costantino Mirai, was established in 2008. 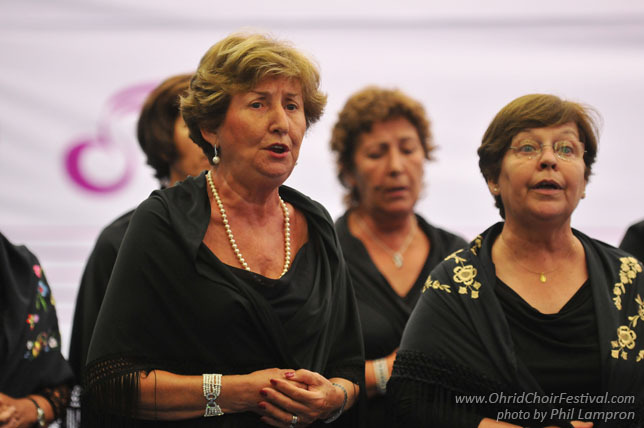 Composed by 40 women, the choir’s repertoire is based on popular songs, both traditional and unpublished, sacred and profane, with particular emphasis on ancestral Sardinian music. Presently the choir presents ecclesiastic music and inedited songs. In Barcelona, from September 22 to 25, 2010, Sa Pintadera participated in the International Festival Europe and its Songs. 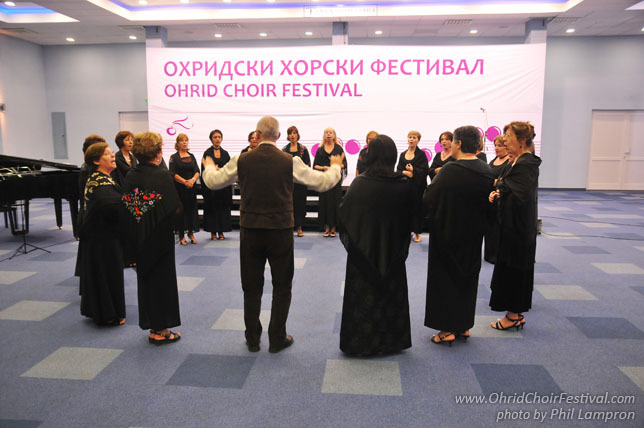 The International Jury of the festival awarded a special mention for their performance and the performance of the song "Lullaby", taken from a poem by Raymond Murru. 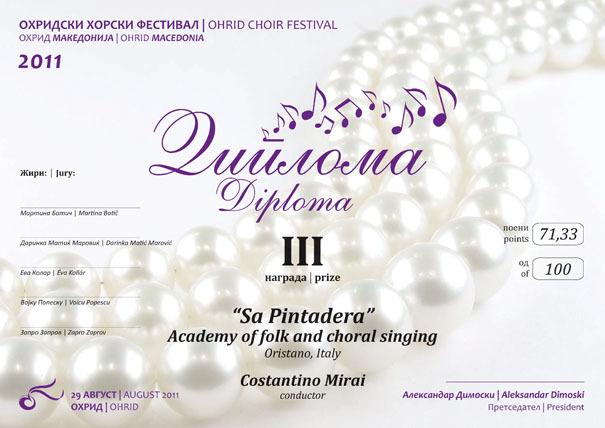 Costantino Mirai graduated in opera singing at the ”G.P. Da Palestrina Music Conservatoire” of Cagliari. 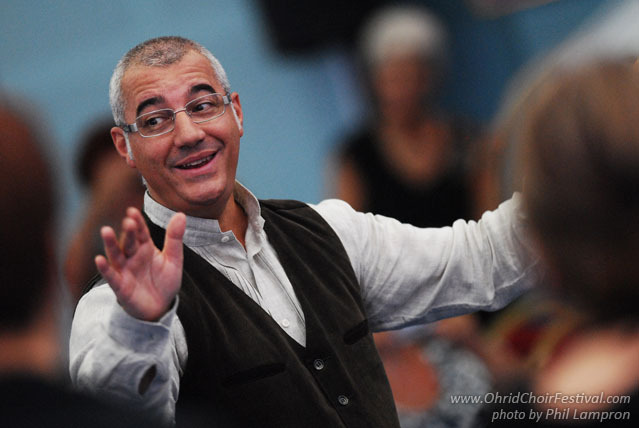 He further specialized in choral conducting and composition, chamber singing, Gregorian chant and church music, in Sardinia, Bologna and Rimini with world famous music teachers, such as Gary Graden (Stockholm National choir conductor), Andrea O. Veneration, Guido Milanese, Valentino Donella and others. In 1999 he conducted Stockholm’s “Saint Jacob's chamber” choir; in 2007, “Studium canticum” choir of Cagliari; and, in 2008 the “Euridice” Bologna choir. Between 1996 and 1999 he established four Sardinian choral associations promoting 153 concerts all over Italy and abroad. Oristano is an ancient town of 30,000 inhabitants and the provincial capital since 1974. It’s located centrally on the Sardinian west coast near the Tirso outlet, surrounded by numerous lagoons. It dates back to the year 1070, when the nearby Tharros, an ancient punic-romanic settlement was devastated by Saracen pirates forcing the population to flee inland.